The white marble gravestone in the Green-Wood Cemetery at Brooklyn, New York, for Henry Burr, 7 year-old son and namesake of Henry Burr and Harriet Burr, has eroded badly. 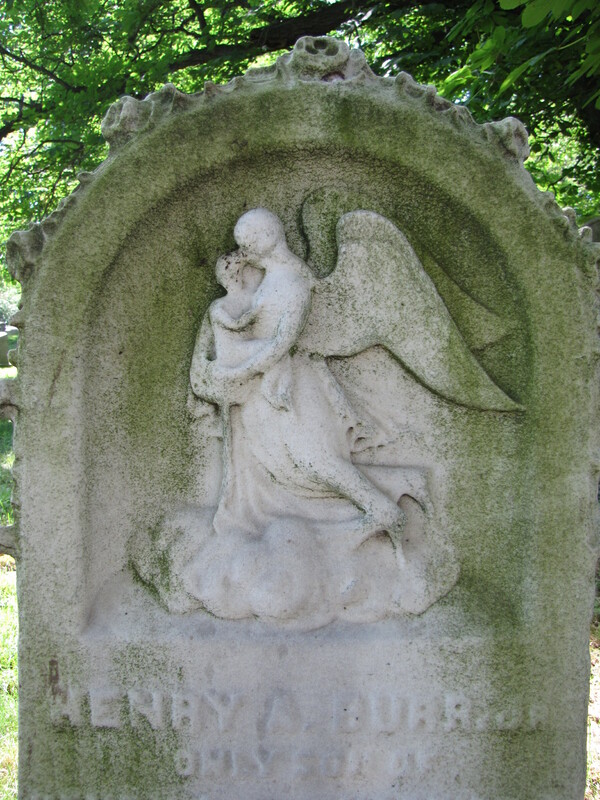 The angel figure, her clothing billowing, hovers over a cloud while she cradles a small child. His head is nestled into her neck, a gesture of tenderness and affection. 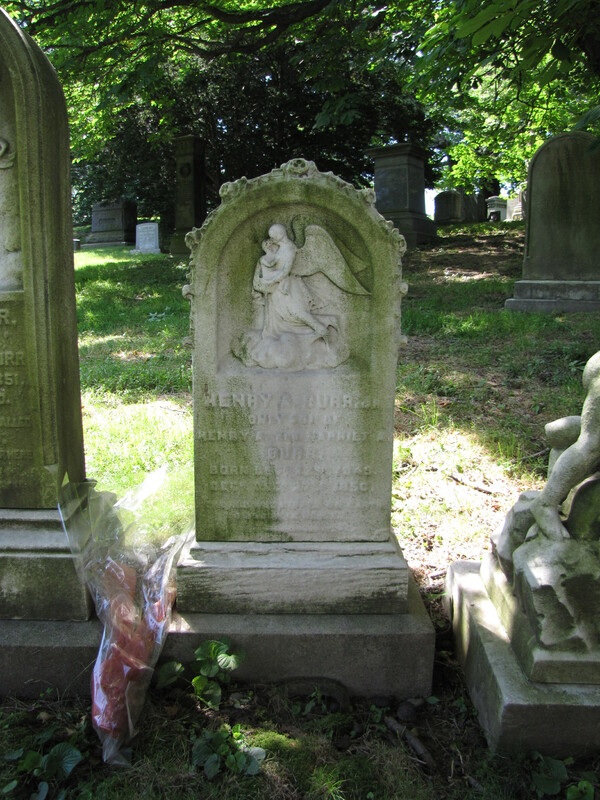 This small boy, presumably Henry, is buried next to his 8-year old sister, Harriet.